Brent Ellison is an outstanding songwriter who writes impassioned songs in styles ranging from Country to Pop to Singer/Songwriter. His mellow, expressive voice enriches the poignancy of his eloquent lyrics, and his performances are truly a joy to hear. Brent grew up in Indonesia, and came to Philadelphia via Georgia and Texas. He has released two Indie CDs, "In This Moment" and "Harbor of Grace," and is preparing to record a third project. Known and loved as PASA's official "Sound Guy," Blair Savercool actually has a long history as a performing musician dating back to the 1970's as a lead guitarist in hard rock bands. 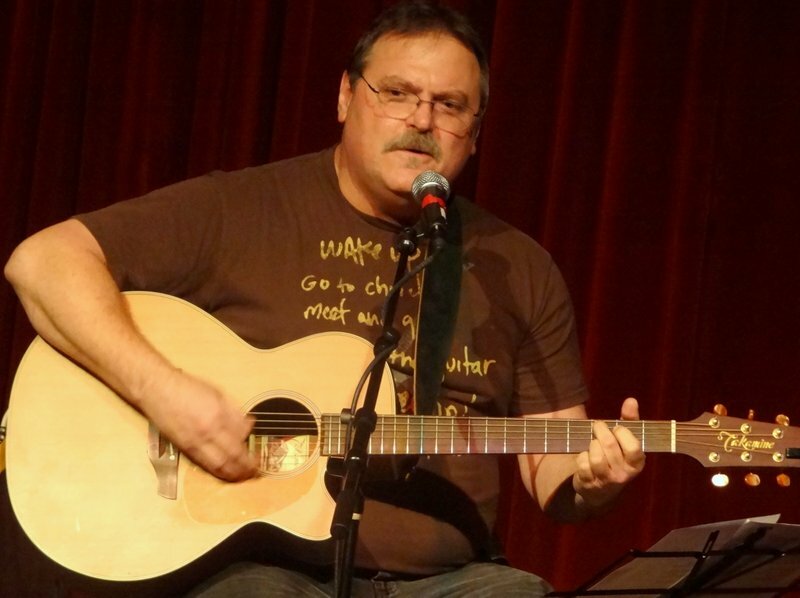 One of the most versatile musicians you'll ever meet, Blair not only plays multiple instruments, he can write in multiple genres: Blues, Christian, Folk, and Rock. Possessed with a singing voice that can be both sweet and powerful, he is just discovering his inner songwriting voice. A sound engineer, producer, and consummate sideman, Blair can now add "performing singer/songwriter" to his musical resume.